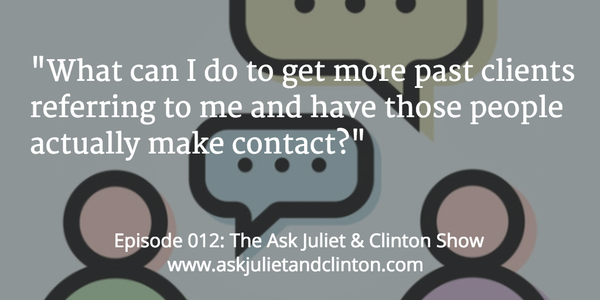 Episode 012: What can I do to get more past clients to refer to me and have those people actually make contact? 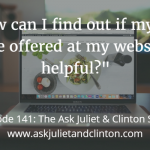 In this episode, Juliet and Clinton ask questions about how to get referrals from past clients, whether it’s a good idea to put a pop-up subscribe box on one’s website and what is the best way to stand out with your competitors, especially when you offer better services or products. 1. Rodney Bloke – www.blokesupport.com.au A lot of my clients come from Google, including Adwords, but I’d love to get more clients coming from referrals from past clients. What can I do to get more people referring to me and have those people actually make contact? 2. Dylan – I am wondering if I should put a pop-up subscribe box on my site? 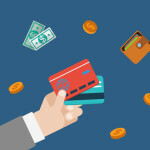 What are the benefits of doing so? I want to increase subscribers, but I don’t want to alienate people. 3. Kayla – I own a yoga studio and am having trouble filling my classes. There are 2 other larger yoga studios in my area who market heavily and are well known. I do some direct mail marketing with postcards to businesses and residents in the community and have a website. But, that is all the marketing I’ve done. I think my classes are better than my competitors and here’s why: my teachers are better trained, many of them studied in India with leading teachers, our fees are a bit less, we have more options for membership, we have 1 hour and 1.5 hours classes, and our studio is beautiful. 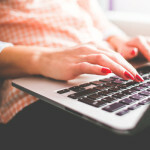 How can I make myself stand out from my competition so that I can fill my classes? Episode 011: What are the fastest ways to build an email list? Episode 013: Should a psychologist use Google Plus to get their Google ranking higher? Episode 141: How can I find out if my free guide offered at my website is helpful? Episode 051: How can an experienced therapist charge higher fees without scaring clients away? Episode 006: What tools do you use to keep momentum going in marketing? Episode 021: What do I need to do to re-launch my business in a different niche?